A few years back, I posted about ESQIDO Mink Lashes and how much I love the natural look and feel of the lashes. Fast forward to present day, I still love and regularly wear their mink lashes and use their Companion Eyelash Glue. ESQIDO Unisyn is the world's first true premium synthetic false eyelashes. They are handcrafted with a blend of ultra-fine synthetic fibres, joined together by a soft and flexible cotton band. ESQIDO Unisyn lashes feel similarly to their mink lashes. They are lightweight and look and feel very natural on the eyes. One would never guess they are synthetic false lashes. As described by ESQIDO, PB & J is the perfect balance of length and volume. With its shorter design and a generous layer of ultra-fine strands, these lashes make it an instant classic. I love how PB & J offers a natural lash look that is truly easy to wear throughout the day. I've worn these lashes during the day with minimal eye makeup and they don't look like I have false lashes on. Threw them on for a night out with a smokey eye makeup and they completely provide a va-va-voom to the eyes. 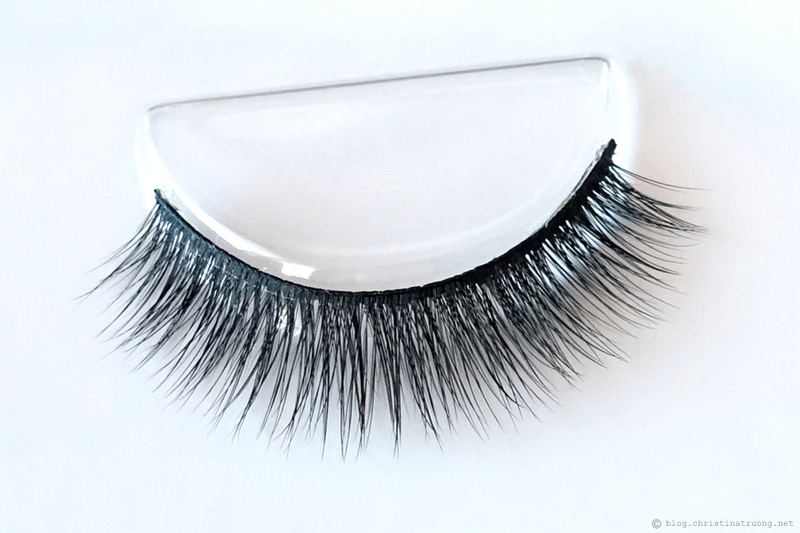 Need help finding the perfect ESQIDO false eyelashes? When it comes to choosing false lashes, it's not always easy. Not everyone has the same eye shape, let alone lash preference. A pair that looks good on the packaging or on someone else, may differ on you. But if you're ever overwhelmed with ESQIDO lashes, fret not, with their Lash Guide, you can find the perfect pair that is suitable for you. What are your thoughts on ESQIDO Unisyn lashes? 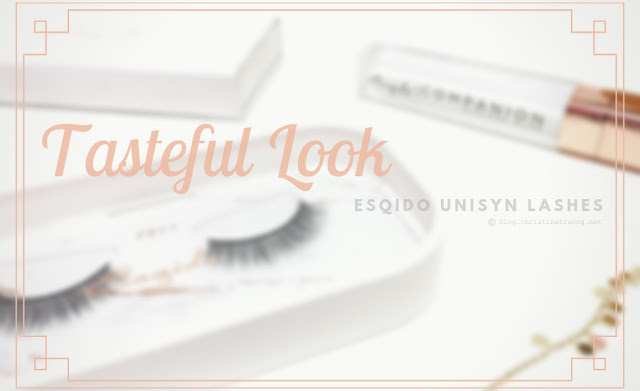 Have you tried ESQIDO eyelashes before? How often do you wear false eyelashes - daily, occasionally, only if someone else applies them on? Disclaimer: Products received under this post were sent from ESQIDO. Views expressed are honest and of my own. Ooooh - so pretty! Love the original Esqido lashes! I love Esqido, they make great lashes. I love that these look so natural and flattering on you. Thanks Jill! I've been wearing these PB&J lashes pretty much daily, I love them so much! This model is beautiful on you! I loooove Esqido, and their new synthetic lashes are so beautiful! They look like mink lashes, so much better than other synthetic lashes. Thanks Kristelle! I agree - I couldn't even tell they are synthetic. They're amazing!